As the producer of a photo book you have to consider many details. It all begins with a briefing from the designer about the whole idea for the book. 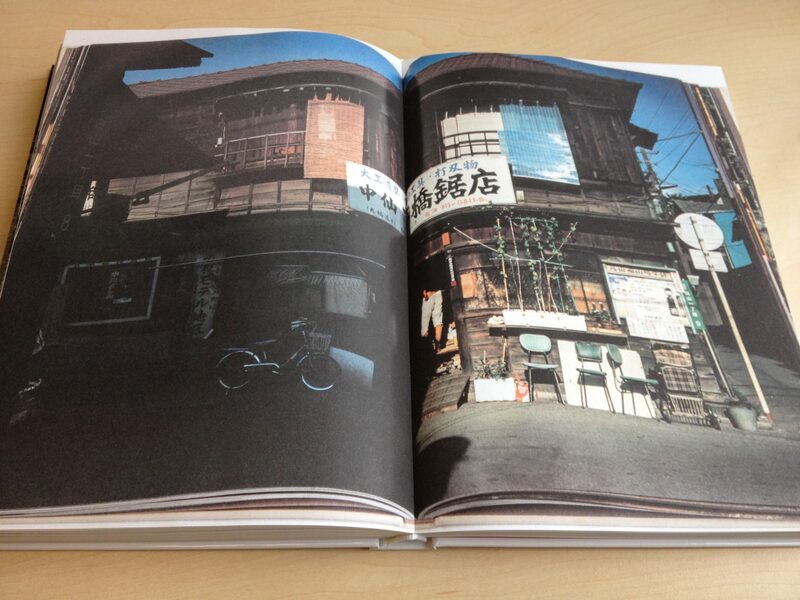 For instance the 10×10 Japanese Photo books I produced for 10×10 Photobooks.org and designer SYB. A catalogue that mainly consists reproductions from book pages and covers. A book that will live in the world of critical photo book lovers. The first eighty ‘pages’ of the book are French folds with a small section of the book consisting regular pages. Of those French folds every third part functions as a fold out unrevealing texts about the books depicted. Every spread of the French folds section is a spread of one of the presented books. The gutter of each of the reproduced spreads aligns with the gutter of this catalogue. So it was essential that the book opened as flat as possible bringing together the three different folding and binding methods. You cannot sew French folds regularly, so the book had to be made in Perfect bind. Cold glue was the preferred choice of glue (see my blog on cold glue and the blog introducing glue in book binding). The binder needs to be a specialist in the application of this type of glue to create a lasting book. I also wanted to make sure that all pages would align perfectly at the front of the book. Due to that the front of this book block looks nice and smooth it doesn’t give away the surprise of the construction of the book. I started by contracting the right binder before looking for a printer. The binding process of such a book is the most delicate part in the production. Binders have an awful lot of knowledge about their trade. I find that talking to them about a project can bring great solutions for an efficient production. Often ideas in design that seemed very hard or costly to produce are realised thanks to the creativity of a binder.